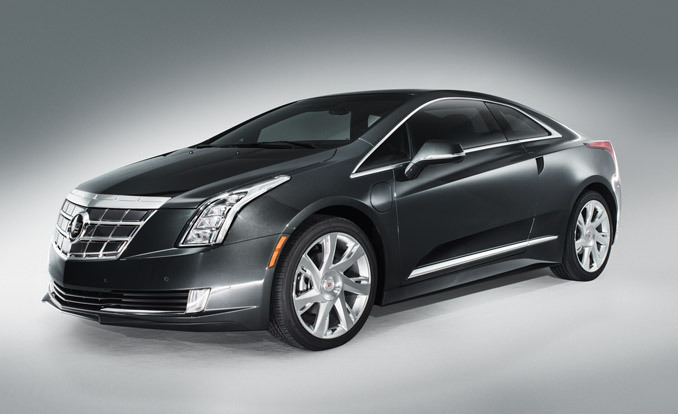 GM has decided to take a second stab at Volt technology, and this time it’s heading upmarket, with the Cadillac ELR plug-in hybrid, introduced Jan. 15. “GM is saying to the world we’re committed to this extended-range hybrid system,” says Larry Dominique, executive vice president of auto sales tracker TrueCar. The electric-drive Cadillac won’t go on sale until 2014, and first-year sales will likely be small, but it’s important to Cadillac and to GM. The ELR will help freshen Cadillac’s image at a time when other luxury brands, which tend to have higher profit margins than less-expensive vehicles, have pushed Cadillac to the second tier. “The ELR puts us in a position to be provocative, to be a technology leader, to offer something that is unique and exclusive, and those sound like attributes that go back to ‘Cadillac’ the adjective,” says Bob Ferguson, GM’s executive in charge of the brand. Offering another plug-in model can also spread the cost of the expensive technology over more vehicles, shortening the time to break even. The ELR will compete most directly with offerings from luxury electric-car startupsTesla Motors (TSLA) and Fisker Automotive. Toyota Motor’s (TM) Lexus luxury hybrids are based on technology used in its popular Prius that doesn’t require plugs or recharging. GM’s new car will land in the marketplace closer to BMW’s(BMW:GR) upcoming i3 Concept electric model than to Volkswagen’s Porsche 918 Spyder, an $845,000 hybrid, out later this year. GM hasn’t said what the ELR will cost, but it will be more than the Volt—probably $60,000 to $70,000, says a person familiar with the pricing who asked not to be identified because the plans are private. The Volt debuted in 2010 with the aim of putting Chevrolet at the forefront of green technology globally and taking on Toyota’s mass-market Prius hybrid, which starts at $24,200. GM originally aimed to sell 60,000 Volts worldwide in 2012 before lowering the target to 35,000. In the U.S., it sold 23,461. GM hasn’t said how many it sold globally. Besides the challenge of selling a car that has to be plugged in for recharging, the Volt has been weighed down by its hefty sticker price. Starting at $39,145, the small four-seat car is loaded with pricey batteries and is much more expensive than a conventional compact, even after a $7,500 tax credit. Toyota’s Corolla, for example, starts at $16,230. The best deal on a Volt has been through a $329 monthly lease offered by Chevy. That’s one reason badging the Volt as a Cadillac might have helped it gain a quicker start. Caddy buyers expect to pay more than Chevy owners. Luxury buyers are also attracted to the latest in technology, such as the Volt’s power system. Shoppers of luxury nameplates are more likely to lease their cars, which makes it easier to afford a vehicle such as a plug-in. Of the Volts GM sold last year in the U.S., 46 percent were leased, according to researcher Edmunds.com, compared with only 12 percent of Chevrolet sales overall. Ferguson acknowledged that he’d heard the arguments before. If the plug-in model initially had been planned only for the U.S. market, the arguments for selling the technology under the Cadillac brand would have been sound, says former GM Vice Chairman Bob Lutz, who led the Volt’s development. “But Chevrolet was [and] is GM’s global brand, and we wanted global distribution,” he said in an e-mail. “A Cadillac-branded Volt would have had almost zero potential in Europe, Latin America, Eastern Europe, Australia, and Asia,” where Cadillac has scant sales. The new two-door ELR is sportier-looking than the four-door Chevy, with some styling cues taken from Cadillac’s popular CTS Coupe. The electric car boasts a muscular hood, wide stance, 20-inch wheels, and taillights that form slight wings, hinting at Cadillac designs of a bygone era. The ELR has four seats, just as the Volt does, but the interior touches are more refined. The ELR offers premium leather seats, and engineers even dreamed up a motorized cover for the cup holders. The Volt can go about 38 miles on all-electric power before the gasoline engine kicks on. The heavier ELR will go about 35 miles before needing a gas assist, says Chris Thomason, the ELR’s chief engineer.